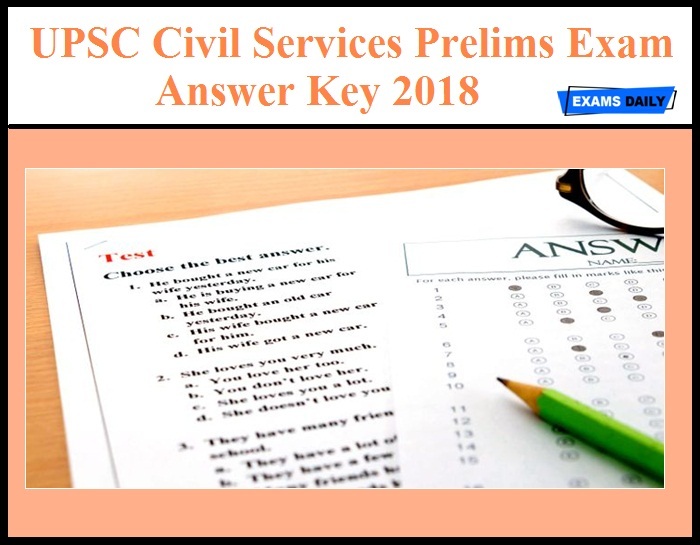 Union Public Service Commission(UPSC) has released Answer Key for Naval Civil Services (Preliminary) Examination 2018. UPSC Civil Services (Preliminary) Examination was held on 03.06.2018. Candidates can download the Answer Key from the following link.